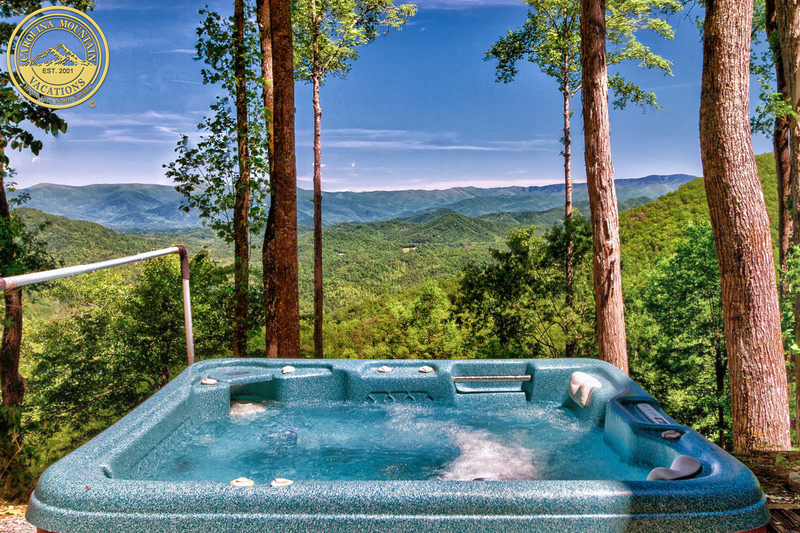 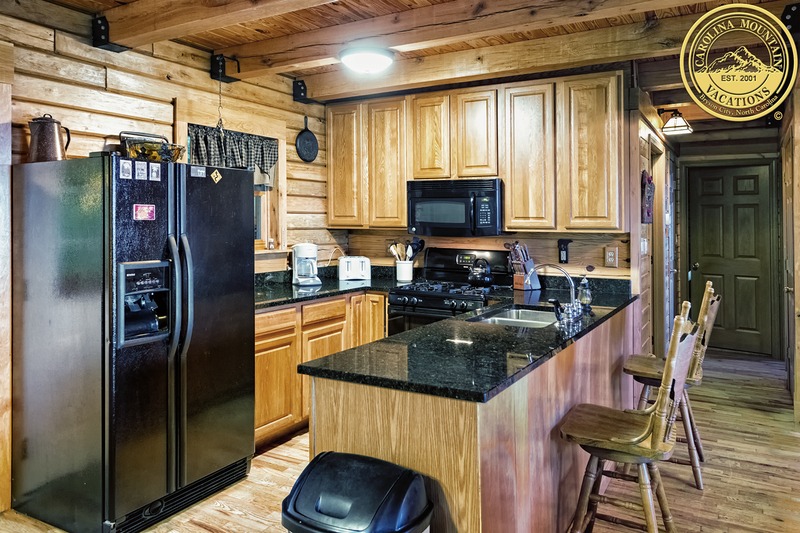 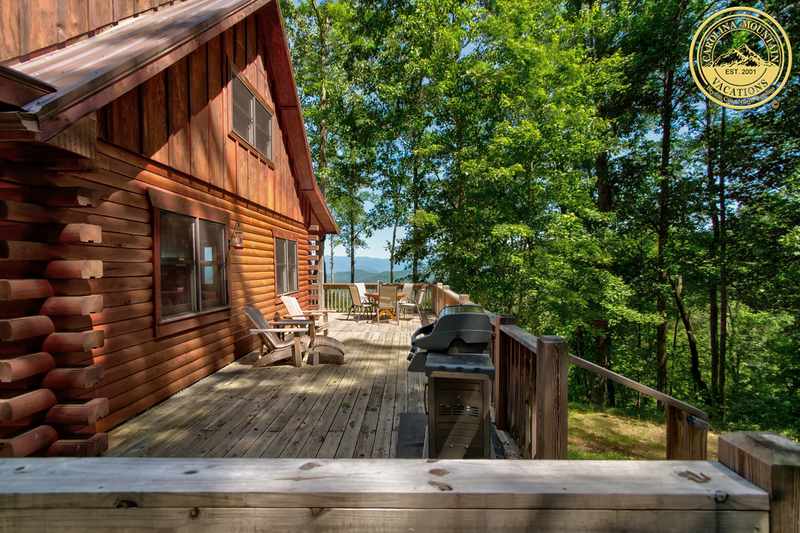 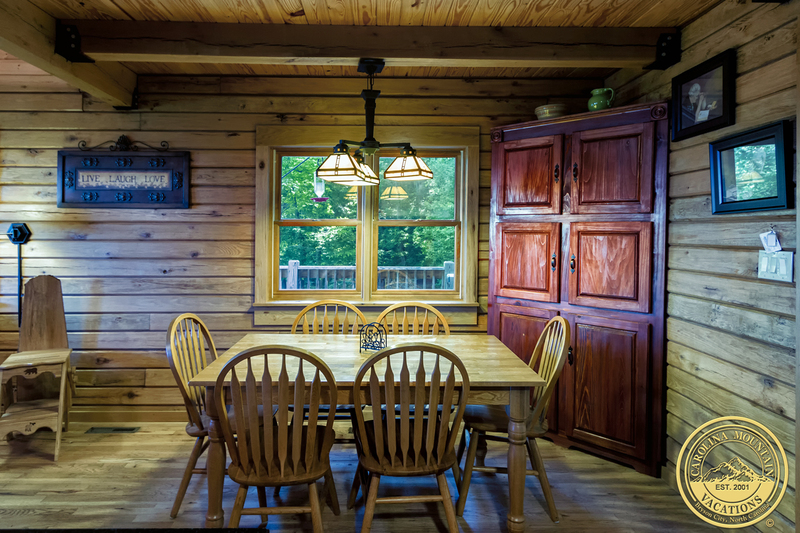 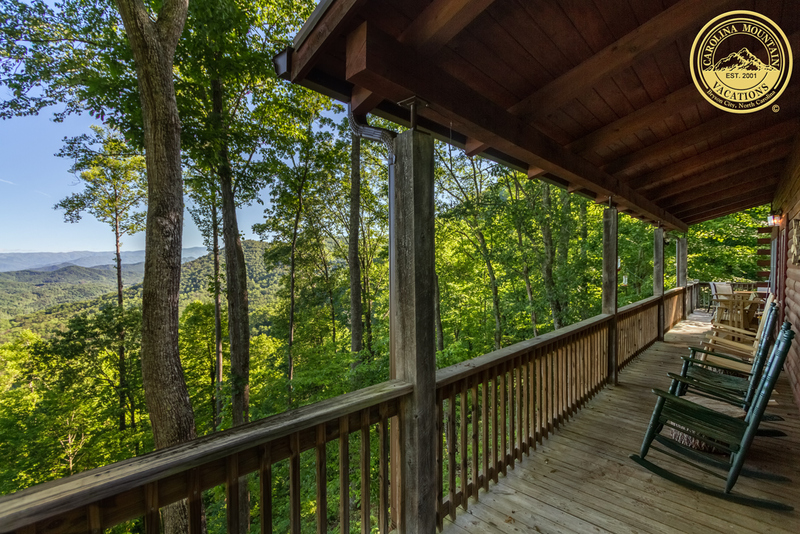 This cabin is ideally located very close to the hiking and biking trails at the Tsali Recreation Center as well as both Fontana Lake and the Nanatahala River activities. 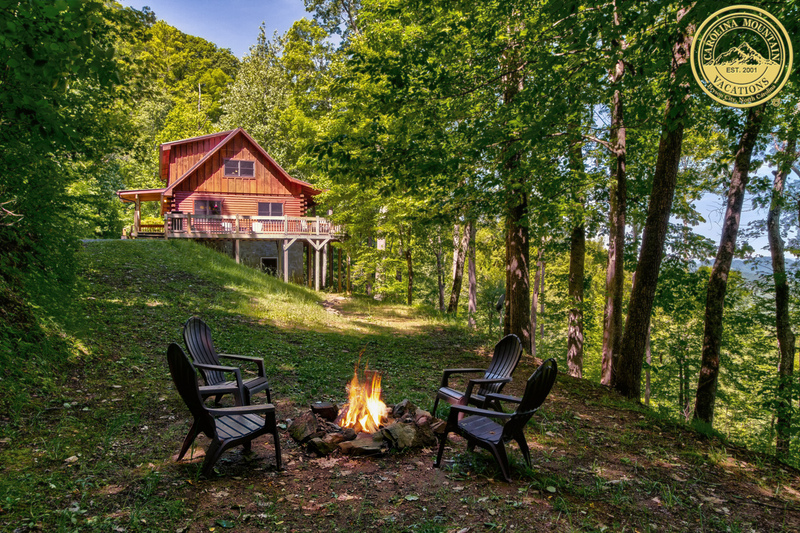 There are tons of hiking trials in the area including parts of the Apalachian Trail . 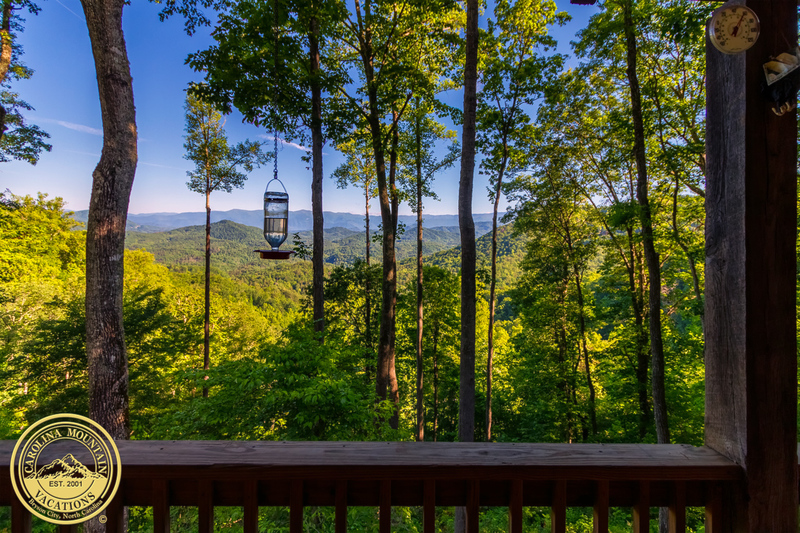 You are just a short 20 minute drive from downtown Bryson City with great shopping, dining, and entertainment for your enjoyment. 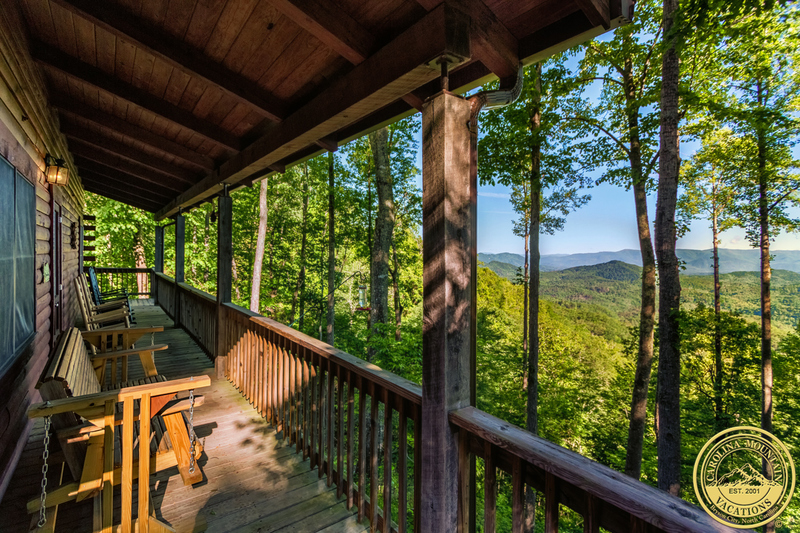 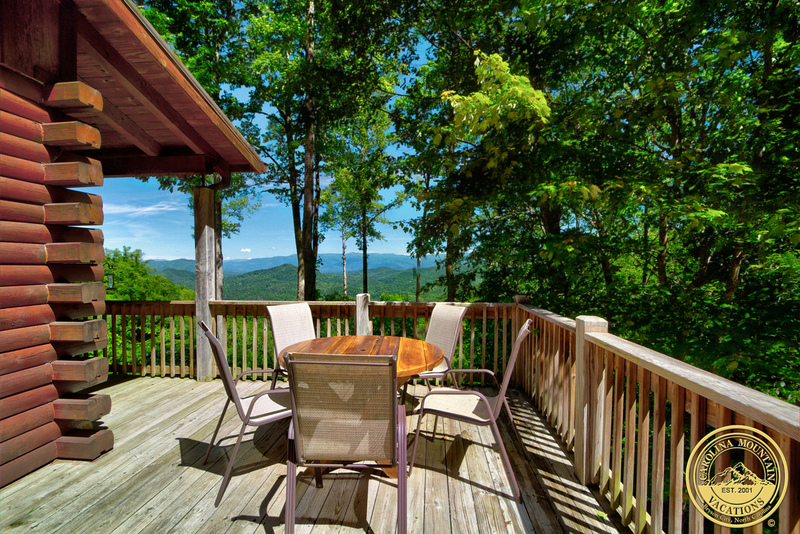 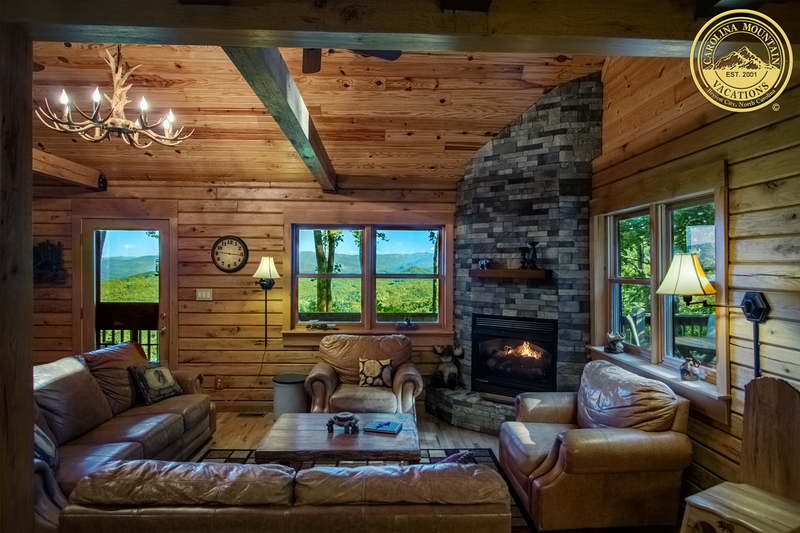 Crow’s Nest is a beautiful three level log cabin that sits overlooking the breathtaking Smoky Mountains. 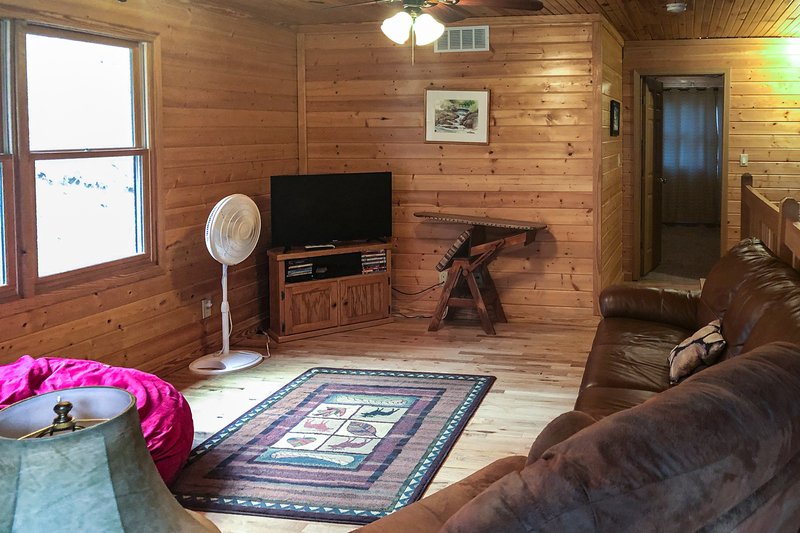 It is equipped with a spacious deck that wraps around the cabin and is tailored with plenty of outside seating for you to soak up the fresh crisp air and enjoy the beautiful sounds of nature that surround you. 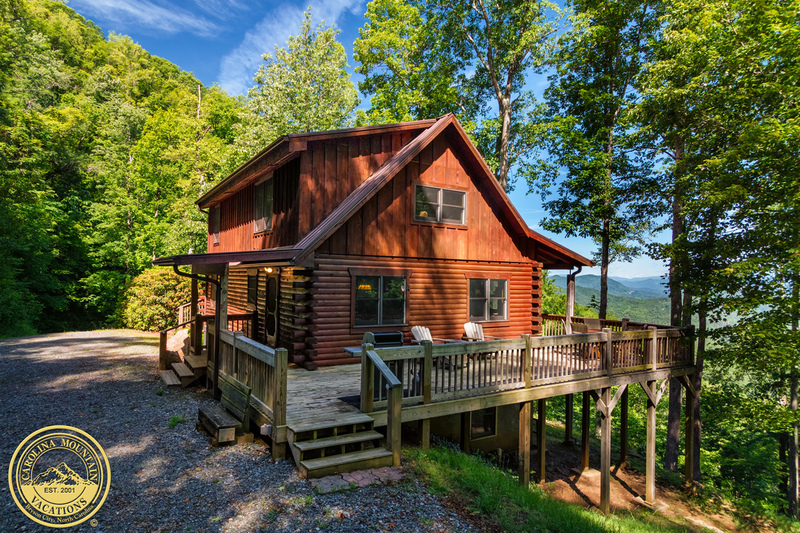 This cabin has spectacular mountain views. 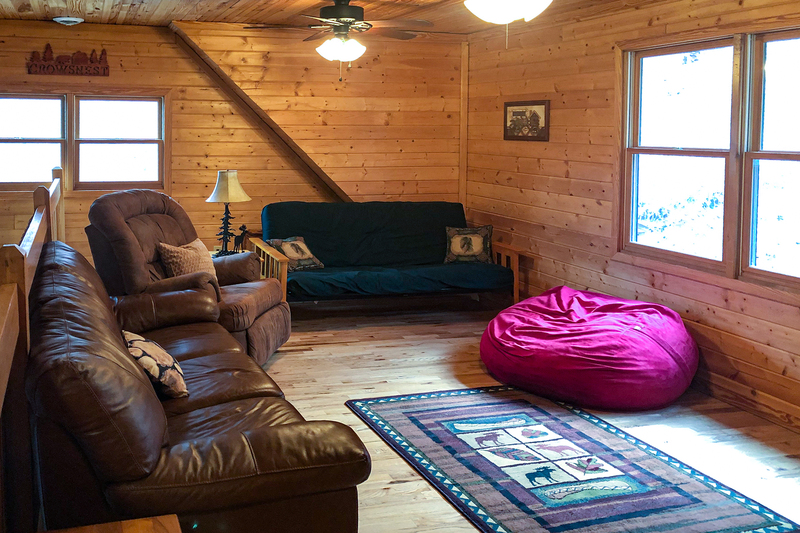 Upstairs is the game loft with an air hockey table and flat screen tv. 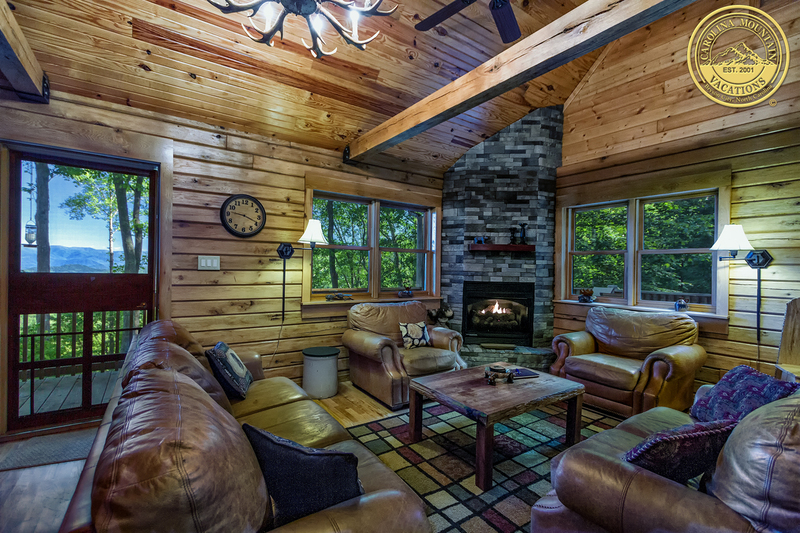 There are couches and bean bag chairs for you to lounge in while you gather around and play on the game table. 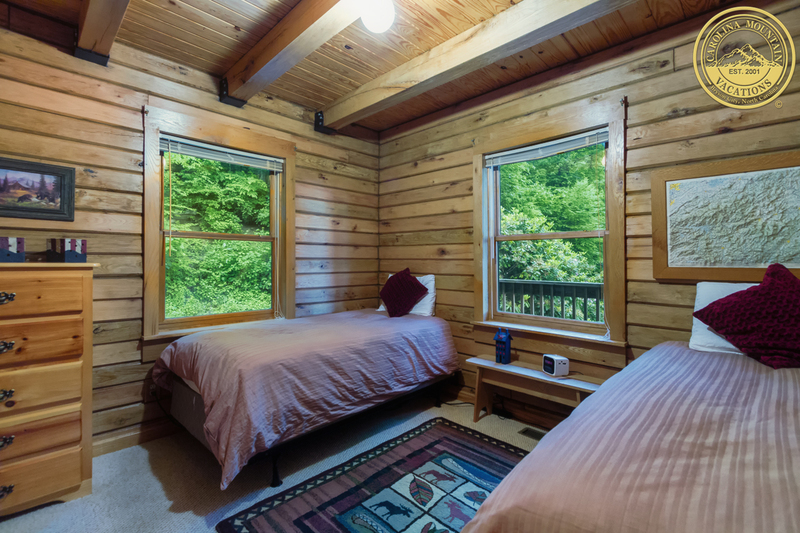 There is also a futon in the loft for additional sleeping space. 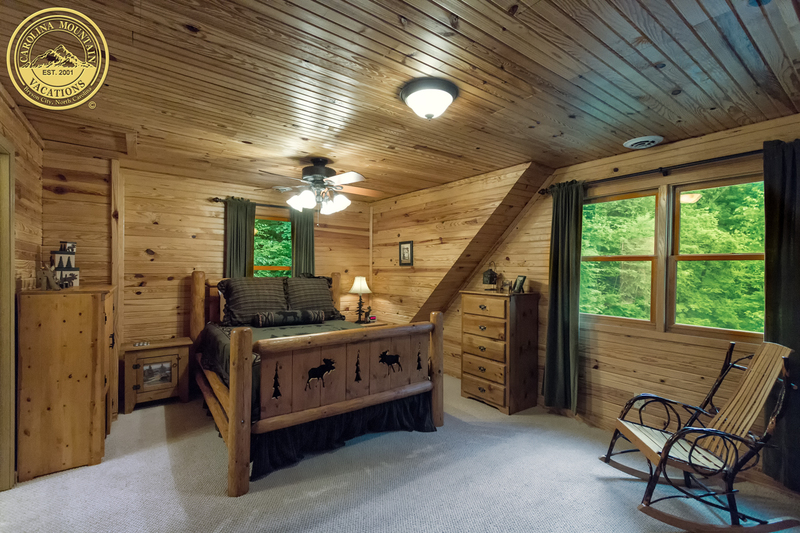 Just past the game loft is the master bedroom. 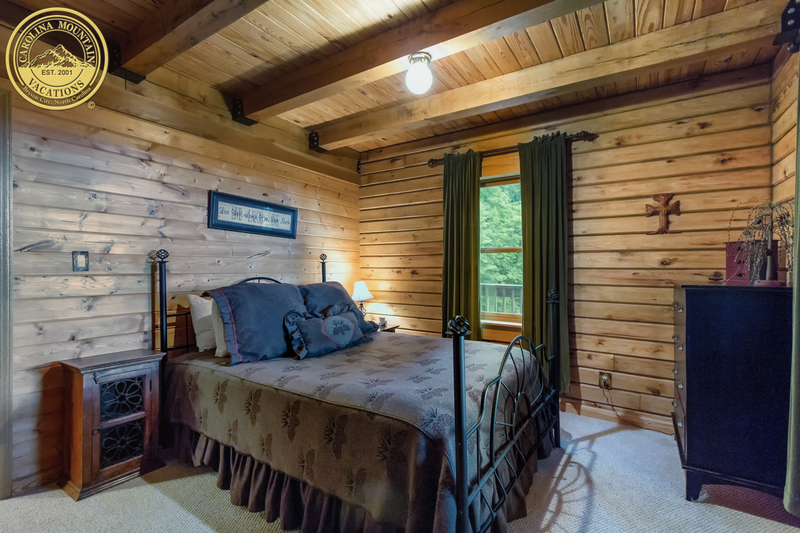 This room is furnished with a queen size bed and has its own private bathroom with a shower tub combo.